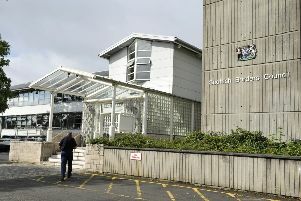 Scottish Borders Council is introducing a new regime to deal with customer inquiries. Changes in customer expectations, financial constraints and increased demands for services combined with improved digital technology has prompted the changes. SBC hopes to encourage those customers who can “selfserve” to start using digital channels, allowing officers to focus on dealing with more vulnerable customers who may need support on a face to face basis. “Through the #yourpart campaign we are asking the public to help us by playing their part wherever they can, and in turn we are committed to enhancing and improving the way services are designed,” said SBC chief executive Tracey Logan.